Trout fishing in rivers and streams opens this next Saturday, April 26. Most of the local rivers and streams are at a very fishable water flow. Generally at beginning of trout season we have a lot of snow melt and run off making it harder to fish. Unfortunately this year we have had very little rain and snow but, the early season fishing should be better cause of it. To effectively fish moving water there are a few different presentations and setups to have in your arsenal. 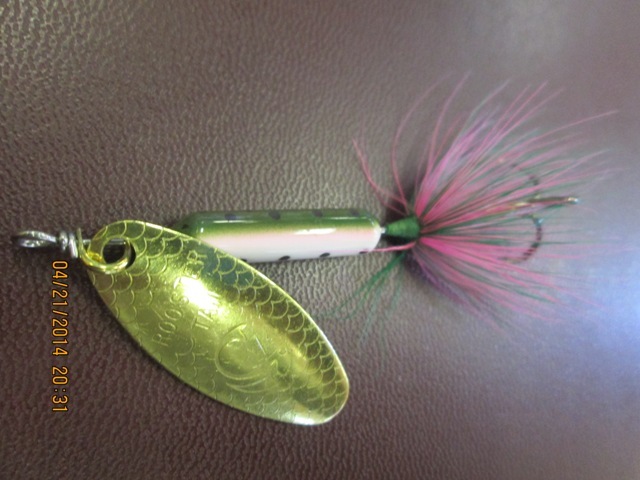 One of the best and easiest ways to catch them is with a trout spinner. 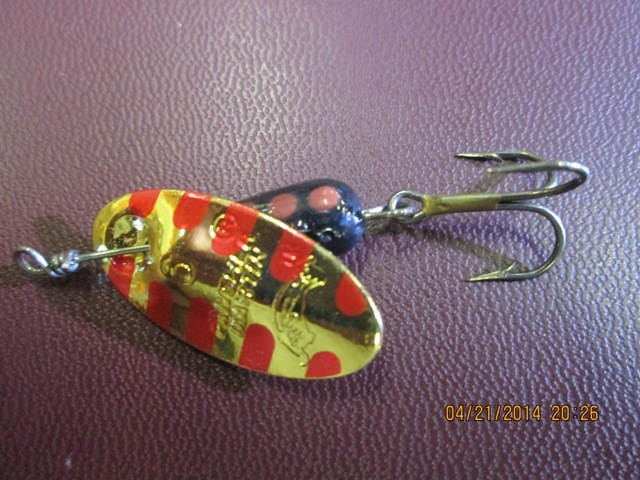 Any flowing water angler should consider carrying is a good supply of spinners. Blue Fox Spinner in a firetiger color is a good bright colored spinner. 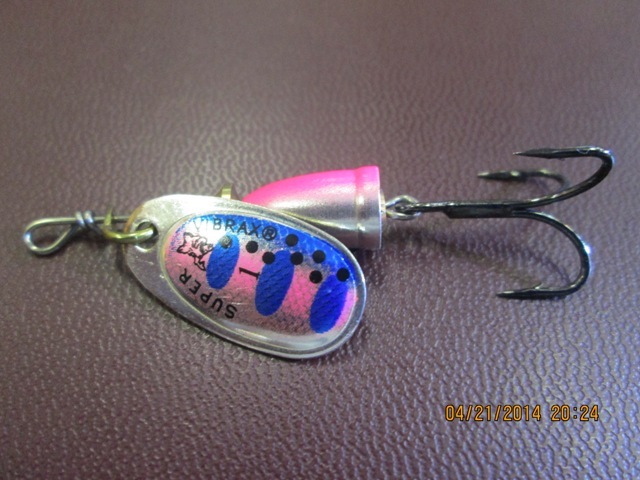 Blue Fox spinner in a rainbow trout pattern is a good natural colored spinner. It is a good idea to have a few different colors and sizes. Color selection is always difficult and not always predictable. As a rule of thumb, natural colors work well in clear water and bright colors work in stained water. Size 2 Panther Martin is a good choice for a light spinner. 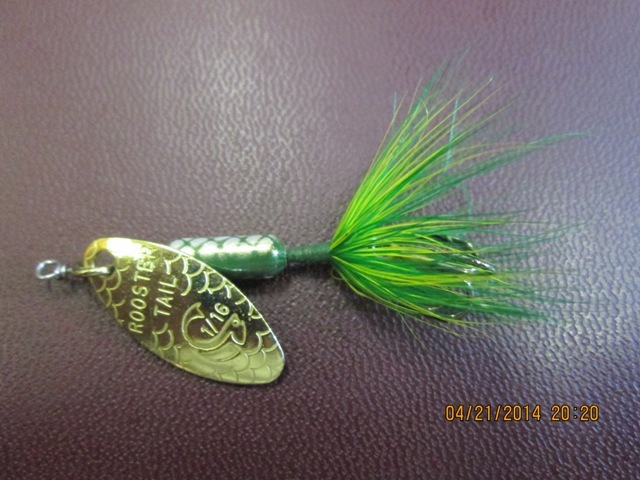 Try using a 206 size Rooster Tail Spinner in small creeks and streams. Gold blades are good in low light conditions and silver blades work well under bright, blue skies. 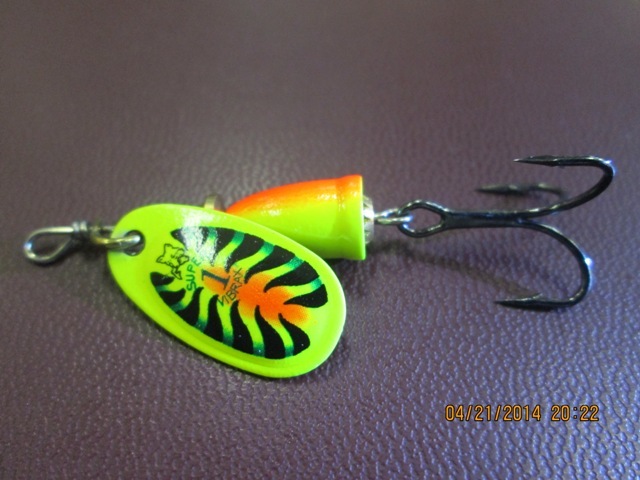 The heavier spinners can be used in deeper fast moving water and the small light ones will entice fish in slower moving water and calmer pools. 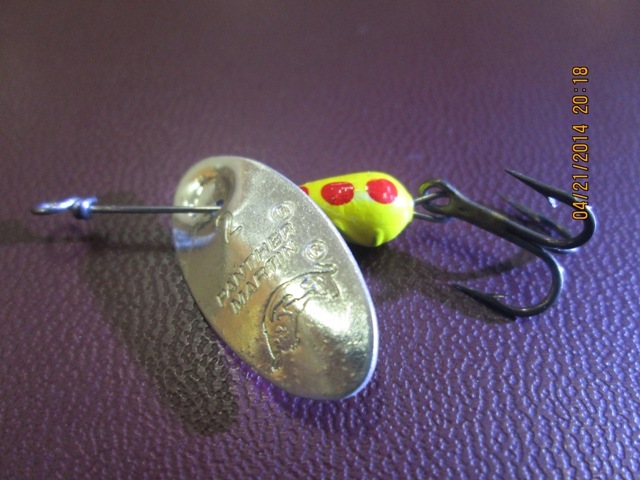 A size 6 Panther Martin work great for deeper faster moving water. Size 212 Rooster Tail is another good deep water spinner. When fishing spinners in steams and rivers is important to have a light or ultra light spinning rod and a reel spooled with light 4# or 6# fishing line. This will make it easier to cast far and accurate. It is good to practice catch and release and if you decide to keep some, only keep what you can eat and release the rest to be caught another day.